In this experience, students learn to use context to determine the meaning of unfamiliar words. Then they write some of their own sentences to use context to give meaning. Use context to clarify the meanings of words. Reading is a skill that serves you your entire life. You read for school, you read for work, you read for pleasure. And sometimes when you read, you encounter unfamiliar words. If you skip over these words, ignore them, and move on, you lose the opportunity to improve your language skills. A substantial vocabulary increases the value of reading. 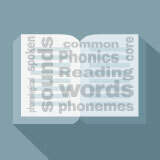 Turn unfamiliar words into familiar ones, and you can then use them in your own writing and speech. You can look up each word or improve your skills of determining the meaning from context. In this experience you will learn how to use context to figure out the meaning of new words. Do you know what the word run means? Write a single definition for the word run. It is likely that the class will enter several different meanings for the word run. According to the Oxford English Dictionary, the word run has almost 400 definitions! When you are reading, how do you know which meaning the author intended? In this experience, you will learn to use context to answer that question.